There is widespread agreement that researchers in all fields should be introduced to responsible research practices as part of their training. Epigeum's Research Integrity Certification and Assessment program is designed to do just that. 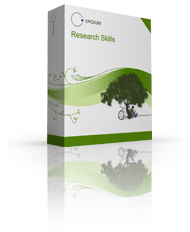 It is available in a number of tailored versions to suit the needs of researchers working in differing subject areas with differing levels of experience. Successful completion leads to the award of a certificate to demonstrate training in the responsible conduct of research. "Sorting right from wrong in today's increasingly complex global research world is not a simple task. This internationally developed program is designed to provide researchers with a better understanding of their obligations and responsibilities, along with practical advice on how to deal with the challenging situations in which they may find themselves."